You may not be old enough to remember the trend of animated glitter type and prancing glitter unicorn gifs but they were there and they were way too popular. Much in the same way disco shamed a generation, the glitter years are a frightening memory. Certainly there have been other trends, or fads, if you will, since “Glitter Heaven” ruled cyber space. 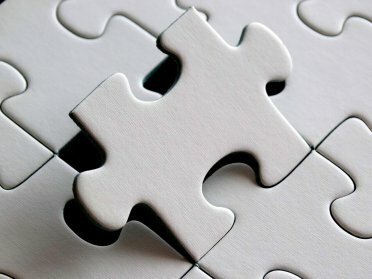 Were they better solutions to web design? Are you willing to spend the time tearing down a glitter-filled website and rebuilding it? Fads can be fun but they’re always expensive. The latest sneakers, handbags, sunglasses, pants up to here and down to there stick around for a week or a year but eventually there’s a new fad to replace it. The web is no place for fads as it evolves almost overnight and will continue to do so. redesigning a website is no easy task and just because shadows become passé when flat design is “declared” the new design standard. As hard as it is to believe, these iconic brands first websites were the forefront of 1990s web design. 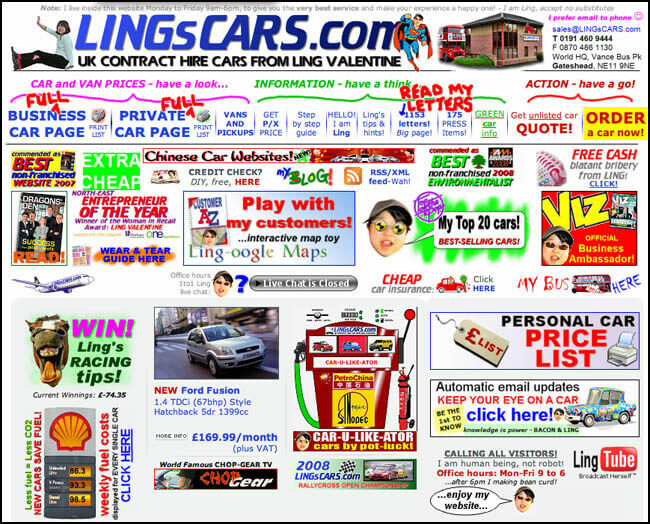 Take a look at these examples of web design by the Flintstones. 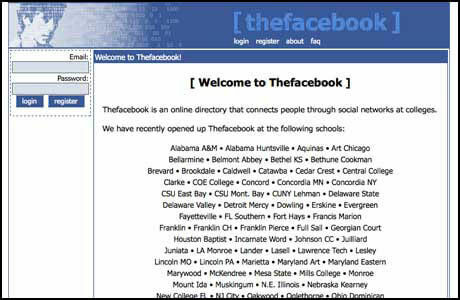 “The” Facebook! You’ve probably seen at least part of the movie about Founder Mark Zuckerberg. Although started for use by Harvard students in 2004, soon expanding to other universities, it somehow grew to today’s 800 million users across the world. The interface at the top left, if you look carefully, is a digitally manipulated photo of Al Pacino. Facebook continues to evolve (some might say “change” or “screw up”). It probably holds the record for redesigns among any website. 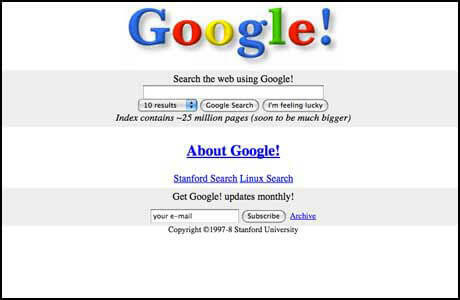 Google surprisingly launched in 1998 and it didn’t take long for it to become a driving force in web technology. With slight exception and the addition of artful pieces incorporated into their logo, Google has not changed their look that much, although they dropped the exclamation point off their name. Created by Stanford PhD students Sergey Brin and Larry Page, the interface was simple because the founders didn’t know HTML and were looking for a quick design fix. It seems to have worked! Did you know that Yahoo is an acronym for “Yet Another Hierarchical Officious Oracle”? As with Google, Yahoo was the brainchild of two other Stanford whiz kids, Jerry Yang and David Filo. 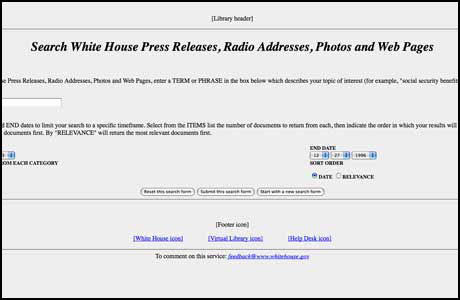 The site launched in 1995 and was considered the first online navigational guide to the web. 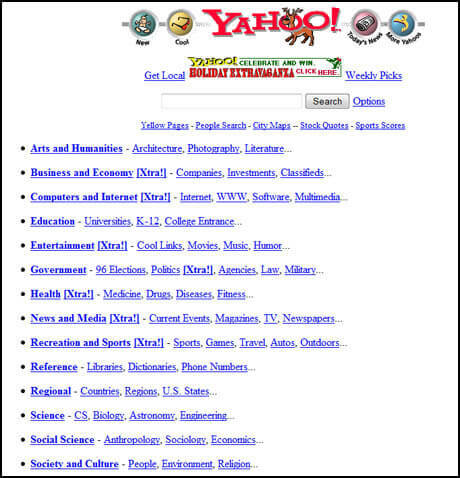 The original interface featured a simple search bar and hyperlinks to other websites, but soon became a sleek aggregator of personalized content. Eventually, it created its own content in all news areas. Yahoo has recently gone through some bashing from the design community for their logo redesign. Can’t win them all! 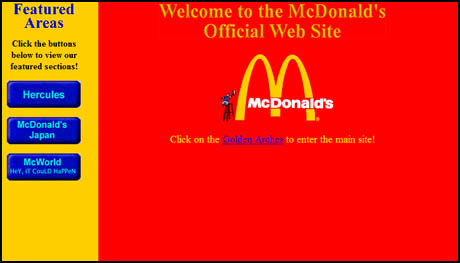 McDonald’s launched it’s first website in 1996. The DHTML gave the appearance that you were clicking an actual button with a click sound and everything! That was about the extent of the technology a thousand years ago. 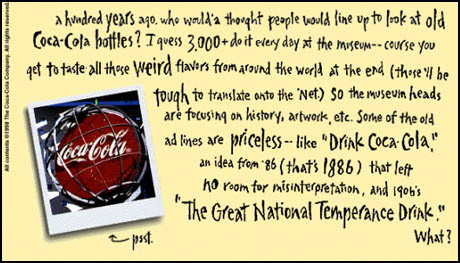 Latecomer, Coke launched its website in 1998 with a simple landing page. The hand scrawled type was very popular in 1998, as House Industry fonts ruled graphic design. 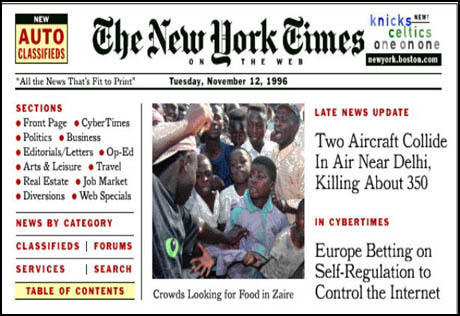 The New York Times hit on something when they launched an online newspaper layout in 1996. The site has evolved to hold more content but they remain true to their 150+ year publishing history. 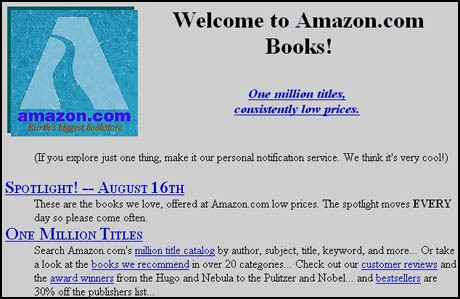 The leader of online ecommerce, was born in 1995 as an online bookstore. Named the site after the Amazon River, the site has grown with other categories and offerings and is one of the most intuitive interfaces around. 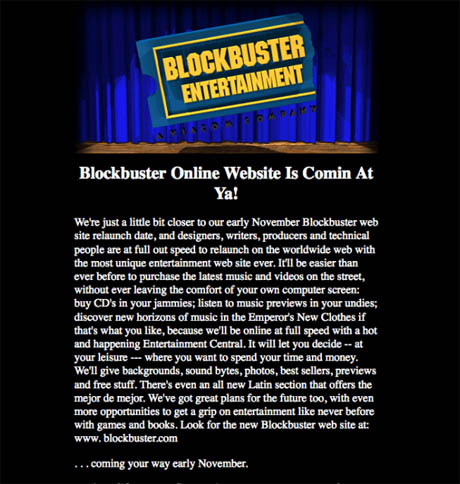 Blockbuster launched their website in 1996 and although graphic designers had just been invented, many just couldn’t figure out why HTML would do some of the buggy things it did upon great occasion. Perhaps the fad at the time was to have an “orphan” word, alone on its own line. Apparently copywriters hadn’t been discovered as of yet, judging by the headline. 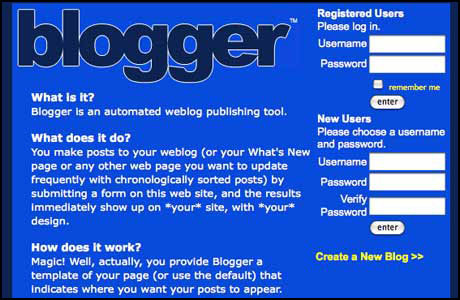 Blogger is the number one blogging platform but back in 1996… well, would you get as excited about it as you would now? With images of the capitol building and flags waving, the government finally let web designers work on the website. 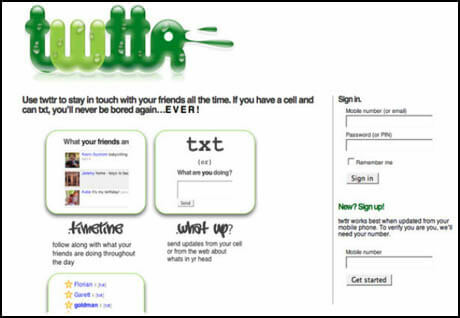 If you fast forward from the Jurassic era of the ’90s to 2006 when This logo design was the first concept of Twitter co-founder, Jack Dorsey . Inspired by Flickr and SMS shortcode (which always includes five characters) The first logo was a happy mix of the “3D candy look”. Although the interface design has changed at least six times in the last five years, that hasn’t hurt Twitter one bit. The release of the final Twitter brand with attractive hyperlinks and highlighted text. Oddly, this website is named the “worst website” in the world (try a search with those terms and see it come up at the top of the results) but gets an equal amount of praise for its naive approach to web design and online sales that makes it so successful. Get Ready for the Next Design Fad! If you read any of the popular blogs that cover web design, you’ve heard the term, “flat design” being thrown around. It seems using drop shadows is now passé according to… to… to people who copy a design that they saw and now everybody is jumping on the buzzword. These sites and the millions that joined them in the past two decades had their design dictated mostly by what the technology would allow. Notice the word, “mostly.” Even in the wretched ’90s with blue hyperlinks and gif buttons that never loaded correctly, there were those who learned to work with and around HTML. They also had an eye for design and could create websites that had a WOW! factor. Although there are many popular drag and drop web design tools, it’s the designs that come from teams of web designers and coders working together that have created the best websites. Design should never be based on a fad or held back from advancing technology. It was the technical advance that allowed animated gifs and the dreaded prancing unicorn farting glitter rainbows to jazz up any site as well as one’s MySpace page. Before that it was rectangular buttons and then 3D ovals and circles and then rounded corners on buttons that clicked, hovered and had immensely dark drop shadows. And before that… well… no one really put the web and design together as a possibility. Thank goodness times have changed! If you think about it, the web is a huge evolutionary jump for human communications, to say the least. The web and digital communication has found its way into our DNA. How do you feel when there’s a blackout and there’s no wifi for hours or days? Oh, I forgot you can use a mobile device. That usually keeps the addiction withdrawals down. Somewhere, someone is posting on “The” Facebook or tweeting on Twttr and how can one miss that? It is the design, the UI, the “magic” that makes websites not just pleasing to the sight or balanced with the brand, it builds emotion response, promotes a friendly front to build loyalty and ties it all the elements together into one cohesive package known as a website. This is not to belittle the equally dedicated work done by coders, writers and everyone else who work to create a website but a web designer provides the beauty, the excitement, the happiness one gets when they click onto a website. So, forget the fads. Let the technology dictate how far you can go… and then figure out a way to go a bit farther. 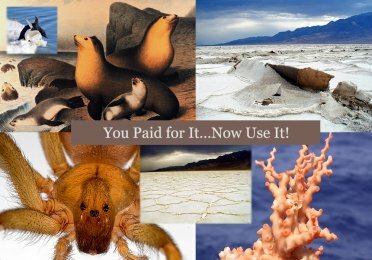 Perhaps YOU will end up designing the next fad?